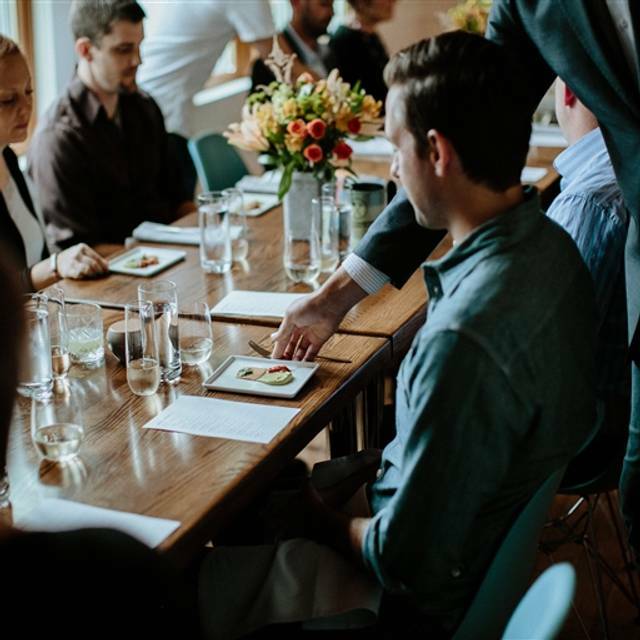 Cerulean is dedicated to serving the best food and drinks in an inspiring and relaxing atmosphere, understanding that the best experiences bring people together and foster community. For over a decade, Cerulean has always been about more than food; every aspect of the restaurant is designed to bring people together. 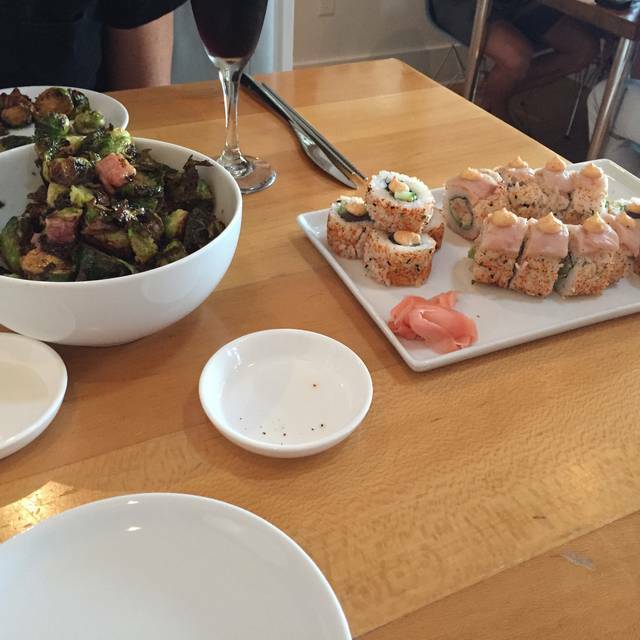 My wife and I always enjoy the great sushi and excellent service at Cerulean. We will be back soon. Always good food! I love coming with friends and sitting on the porch! It’s amazing! We all had a great experience, the food is delicious and the service was great. Beautifully decorated also! We were seated in the bar area and there was another table of ladies that were quite loud. Other than that the food was very good, our waiter was very attentive and remedied replacement of broccoli with sticky rice for the young man with us. We were happy with the entire lunch experience. I am from CA but come to Warsaw a couple of days each year to see family. cerulean was the only decent restaurant in the area but the change in menu to bento boxes and sushi only has made it a huge disappointment. As the only Warsaw restaurant on open table I guess I am out of options. Sad. Kitchen was very slow. It took 45 minutes to get our lunch. This has never happened to us before during our many luncheons. Very disappointed with the kitchen’s lack of timeliness. Waiter was friendly and helpful. Bento boxes were yummy. Cocktail of the day was unique and would love to have the recipe. All around great time! Great place to meet for dinner. We were on the back porch which provides a lovely view of the canal and surrounding area. Food was delicious as always. The server was kind and helpful and the atmosphere was great. The food was okay. We didn’t think the sushi was worth the price and the duck rice was over seasoned to the point that it didn’t even taste like rice. The ramen was incredible though; we would definitely return for that! We met as friends for a weekday lunch and had a great spot in a booth. Our server was patient with our indecision and VERY informative about the food. She delivered everything exactly accurately and was pleasant throughout. We sat and talked longer than we should have, and she was gracious throughout. A+ for the food and A+ for our server! We love the food, it’s just the last two times the service has lacked hugely. It took 30 minutes before we received drinks and another 30 minutes for our food. Having to wait a full hour before receiving our meal and begging another waitress to get us refills is not right. This happened the last time we were there as well. Also, I’m all for dim lighting but the porch area is too dark, our guests made several comments. Thankfully they loved the food. I’m honestly sad. The quality of the food has changed and it’s just not what it used to be. One of my favorite restaurants. 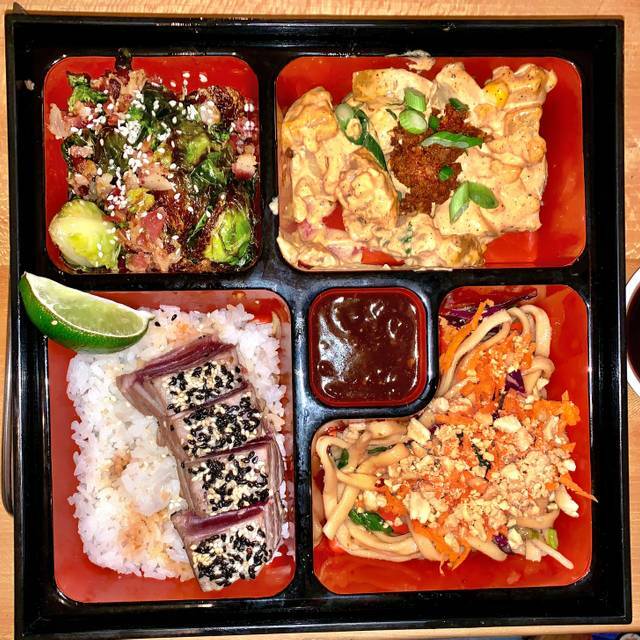 Love the bento boxes. Great service and nice atmosphere. My wife, daughter and I had dinner reservations at 6:45 pm Saturday night. We arrived on time and as always our table was ready. We had sushi and it was fantastic. Service was excellent and have never been disappointed with anything at Cerulean. Always a pleasure dinning at Cerulean! Service was wonderful and sushi was delicious. Great food and very good service. We will definitely return! I would still recommend Cerulean, but my husband and I really miss the old menu. 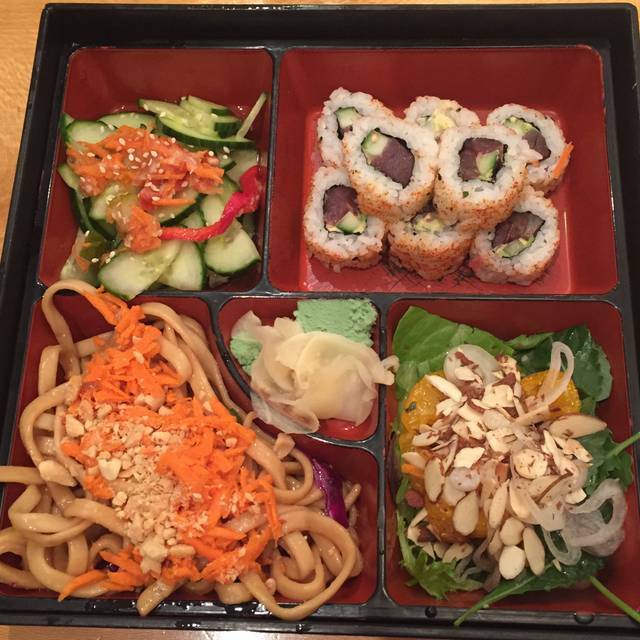 I like the bento boxes for lunch, but would prefer they original menu for dinner. 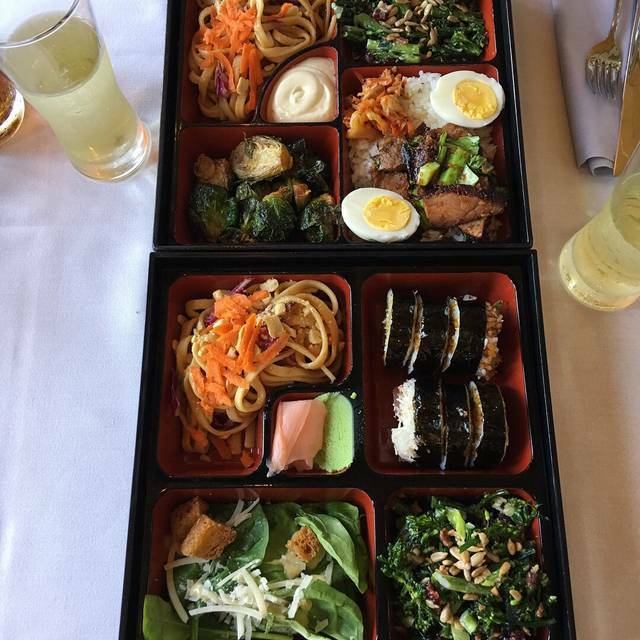 I've let several friends know about the bento boxes all day long change. Several expressed disappointment and said they'd probably only go for lunch since the dinner menu changed. Really miss several of the appetizers that were on the previous dinner menu too. But overall, still a good place for dinner - especially sushi! The food was good as always. Service was a bit slow We’re glad they are open all day now with no shut down between lunch and dinner. Jen S was an absolutely wonderful and helpful waitress who gave great menu recommendations. The food at Cerulean was fabulous as usual! Service was slower than usual. We still had a great time. Duck fried rice was too salty. Sushi and crab cakes were good. The food is delicious!!!! The service is amazing!!!! The price is a bit high but you deserve to pamper yourself from time to time. Definitely worth going to!!!! It had been a couple of years since we had been to Cerulean. I was certainly a huge fan of their former menu, prior to going full sushi style. Service was fantastic, the staff are friendly and very attentive. 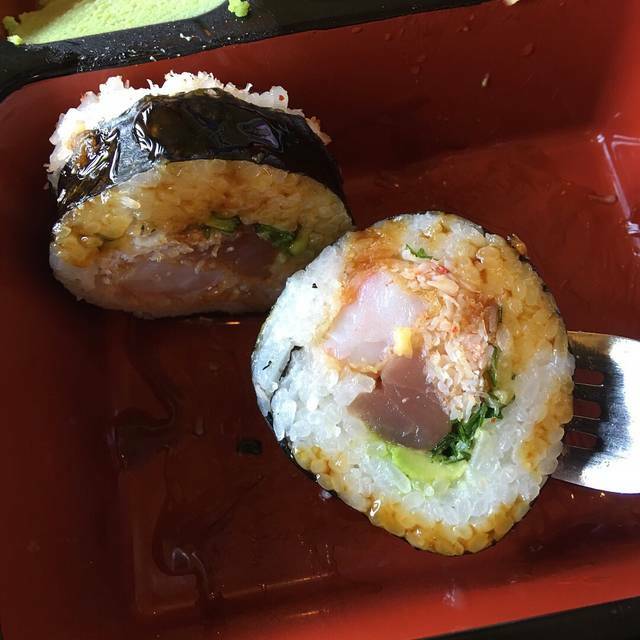 I had a couple of sushi rolls, and while they were not bad, they were certainly far from amazing. At the price, I expected significantly better. Portions are small, but that was to be expected. I found just an overall lack of flavor in the two rolls (dragon roll and a spicy tuna, if I recall correctly)...sadly I would rate them on par with a roll you could buy at a nicer grocery store. 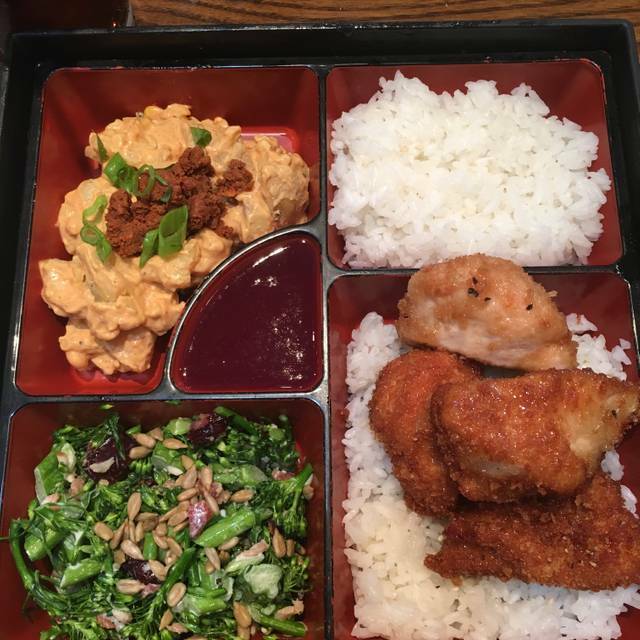 My wife did enjoy her bento-box with duck fried rice. She was nice enough to share a taste, and it was certainly enjoyable. Overall, while I found our visit a bit lacking...It's not a bad place. We eventually might return, but I'll pass on the rolls and try something else. 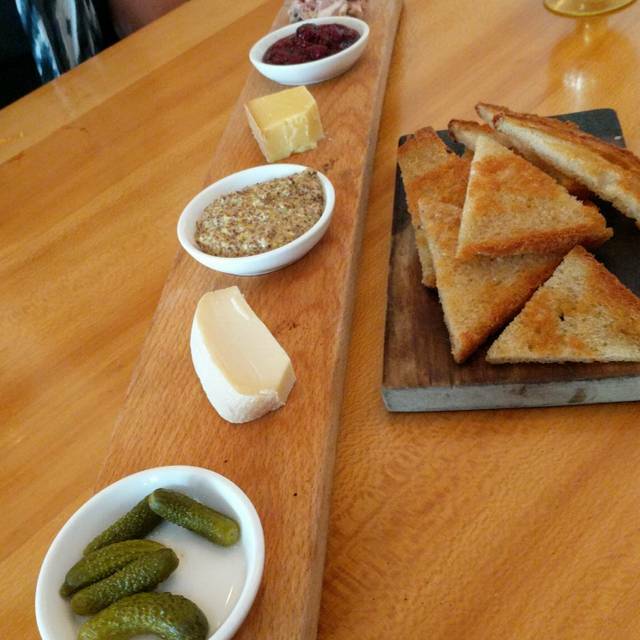 Delicious food, slow service, yet wonderfully accommodating staff . Service was abysmal, slow, incomplete, places were not cleared of plates, etc. Always great to come back to an old friend when in town! Love this place! Great service, great food! The menu is not your norm, just outstanding. We will return to try something different. Really enjoyed the menu! Although the food and drinks, along with the atmosphere and service was great, everyone at our table was alarmed when our server did not card us when requesting alcohol. Although we were legal (just barely) this concerned me very much, especially being a server myself. This restaurant closes very early, 9 o’clock on a Saturday night. The feeling is they want you out at that time. It is a cool location and the food is good, but they need to work on making it a more relaxing enjoyable restaurant. We got seated in a strange corner where it was oddly isolated - couldn't see another customer all night. The food/presentation was nothing special at all - especially for the price. Service and drinks were pretty good though. This was our first time back to Cerulean since its rebirth. I was a little skeptical, but I was very pleased with the menu, the choices and the quality. I had the steamed pork belly bun and it was outstanding. I also had the panic chicken Bento box and it was great. The crafted cocktails are also very good. I would highly recommend this place to anyone. Dinner with spouse. Excellent service. Warm and friendly ambiance. Great food. Wonderful and relaxing evening. It was fun to try out the new menu offerings. Our server Abbey was especially nice and we enjoyed the dinner. Great place to each. 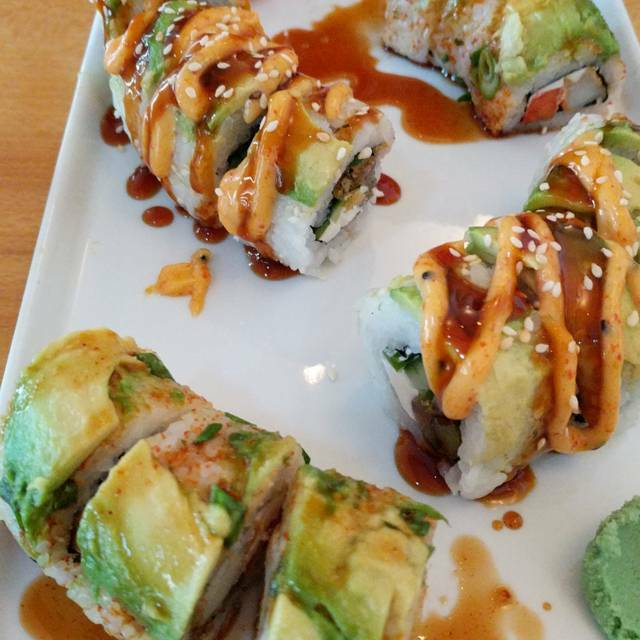 We enjoy the sushi rolls and unique menu.